Psari Plaki. 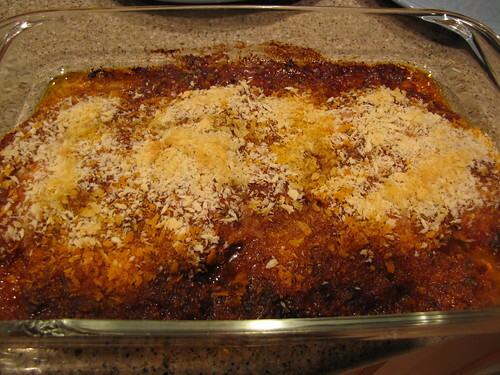 Fish baked Greek style in tomatoes and onions. I love having friends who cook. My friend Cody sent me this recipe after I saw pictures that he posted on Facebook. Don’t you have friends who take photos of their dinners on a regular basis? 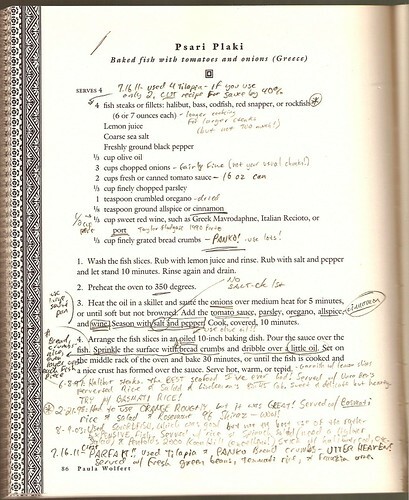 He even sent me the recipe with his notes in it from various versions and adaptations. Cody is a note-taker. I’m a post-it kind of person. Neither of us is interested in e-reader cookbooks for this very reason. I’ve made a few little adaptations of my own, mostly to bring the sauce recipe down to serve 2 people. *The recipe calls for sweet Greek red wine or port. Normally I wouldn’t cook with the good reserve port but this was all I had and I didn’t have time to go out to the store. Cody recommends using Sandman Tawny Port. 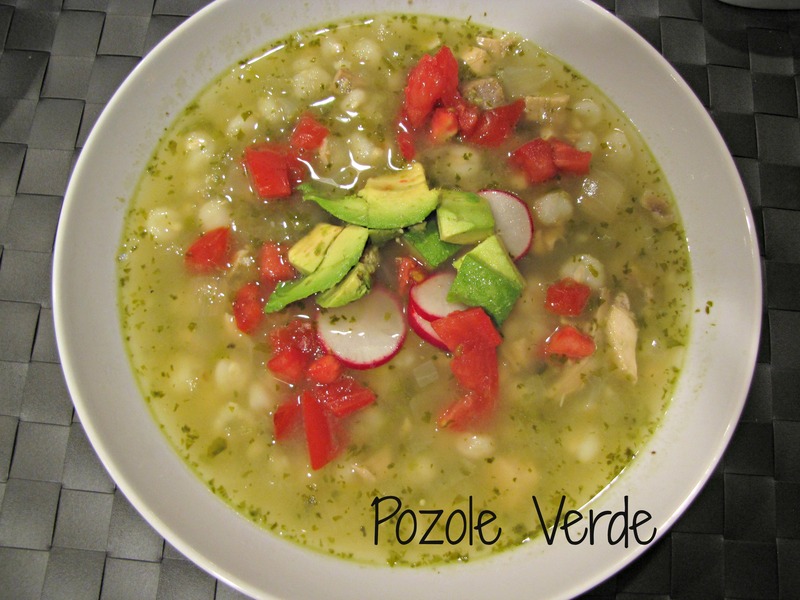 It’s great for cooking – quite affordable – and also good for drinking. 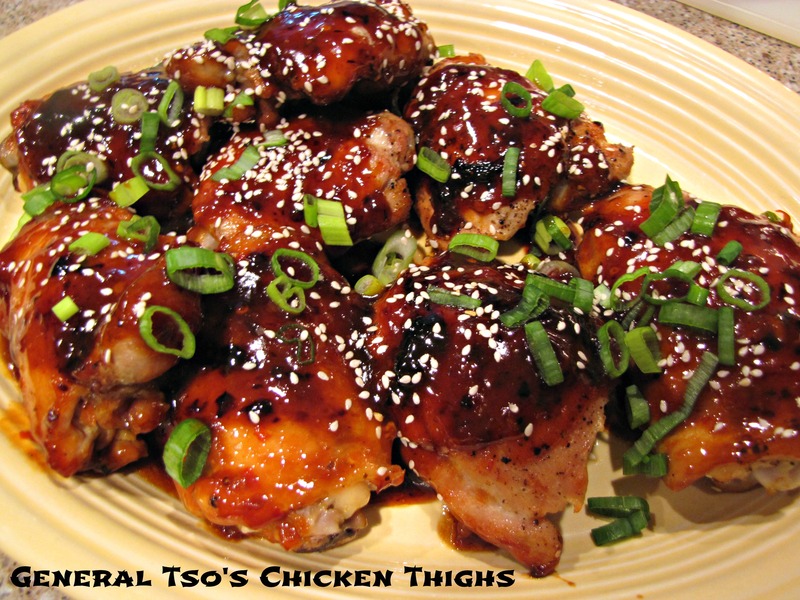 This recipe has a lovely rich, flavorful red sauce. Any flaky white fish will do the trick. 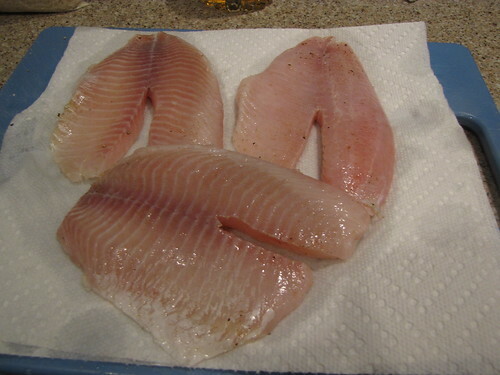 I have Tilapia but Red Snapper, Halibut or Orange Roughy would also be good choices. For 2 servings, I’m using 1 pound of Tilapia fillets. 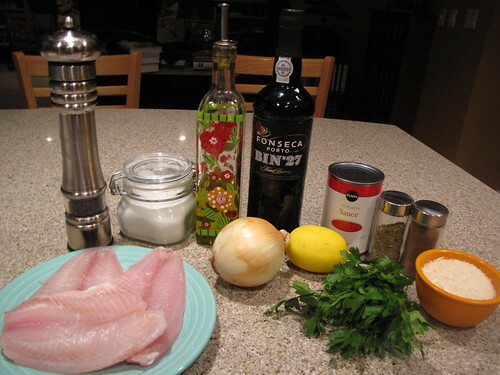 There are a few quick steps to prepare the fish for baking. They only take a few minutes and REALLY help the flavor of the fish to be clean and fresh. My advice is to not skip these initial steps. 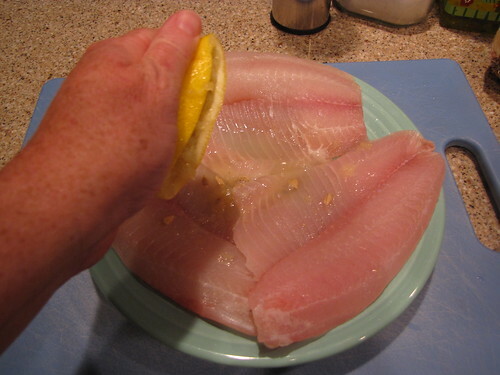 Squeeze the juice of a lemon over the fish fillets. Rub the lemon juice into the fish on both sides and let it rest for a few minutes. 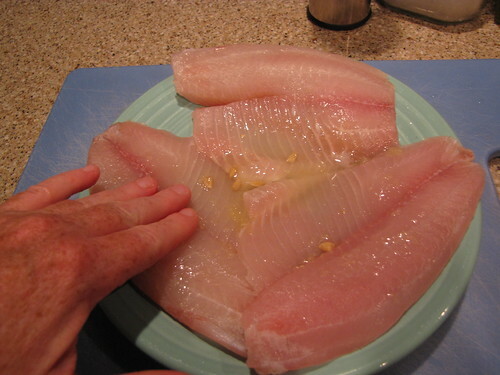 Rinse the lemon off the fish and pat the fillets dry. Season both sides of the fish liberally with salt and pepper. Let them rest for 10 minutes. 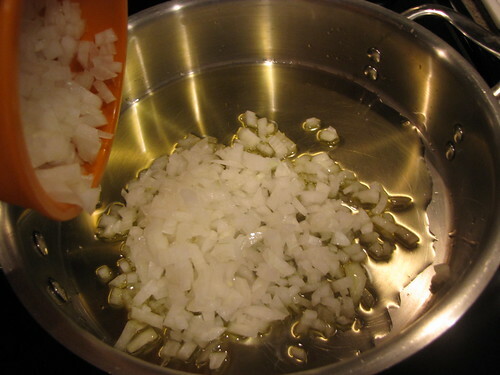 While the fish is hanging out with the salt and pepper, finely chop 1 medium onion – about 1 1/2 cups. 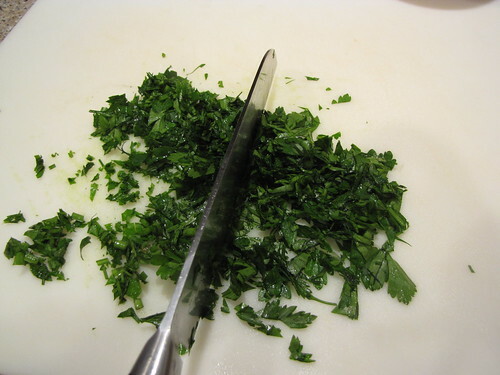 Finely chop 1/4 cup of fresh parsley. Heat 2 Tablespoons of Olive Oil in a large skillet over medium heat. 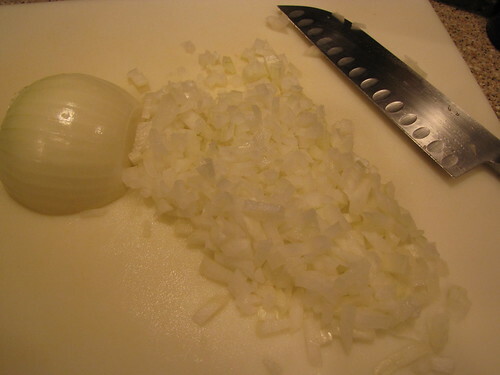 Add the onions and saute for 5 minutes until tender and golden but not browned. 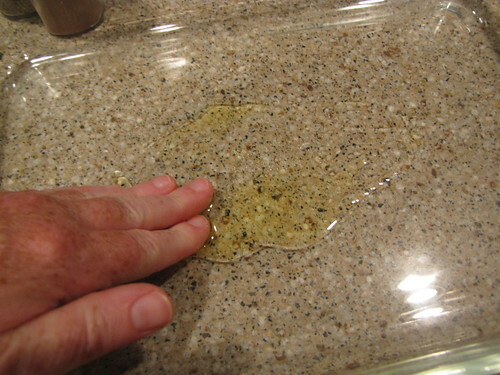 While you have the olive oil handy, drizzle a little in a large baking dish (9×13) and rub it around to coat the bottom of the dish. By now the 10 minutes of salt and pepper time on the fish should be up. Rinse the fish again, pat dry and place the fish in the oiled baking dish. 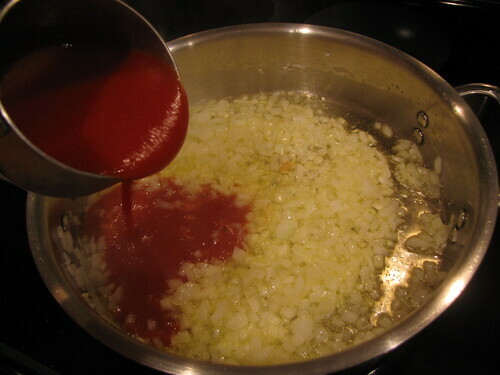 When the onions are tender and translucent (shiny), add 1 cup of tomato sauce to the pan. Now for the good stuff. Add 1/4 cup of port and 1/4 cup chopped parsley. Save a little parsley for garnish if you want to pretty things up at the end. 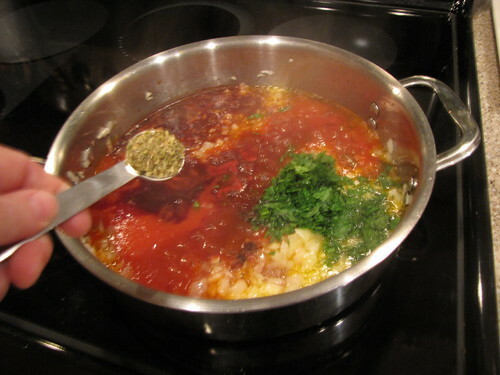 Season the sauce with 1/2 teaspoon dried oregano and 1/16 teaspoon- or a big pinch – or either allspice or cinnamon. I used Allspice and Cody uses Cinnamon. The original recipe gives you the choice. 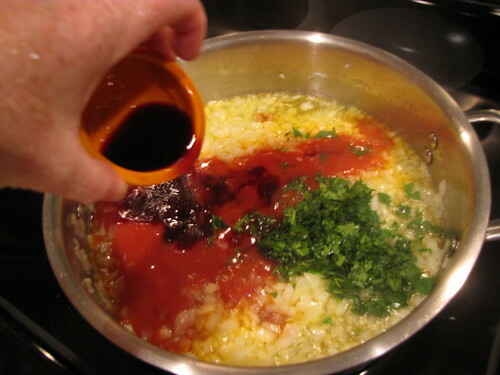 Bring the sauce up to a simmer, cover with a lid, and cook over low heat bubbling gently for 10 minutes. 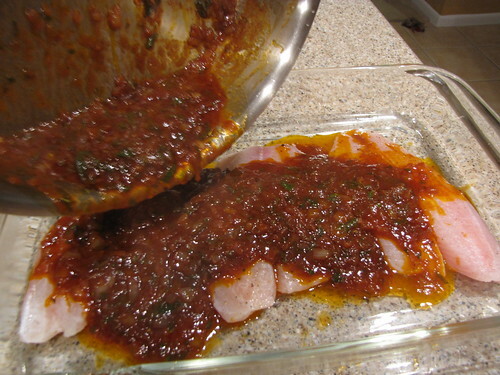 After the sauce has cooked for 10 minutes and your kitchen smells really good, pour the sauce over the fish fillets. 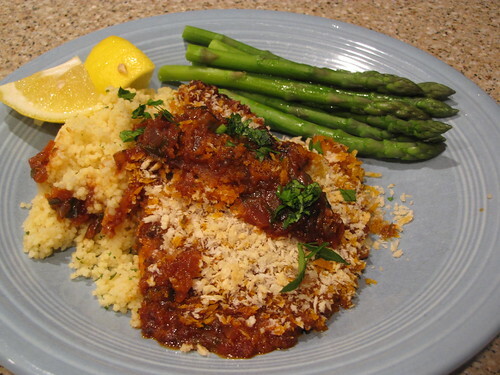 Sprinkle 1/2 cup of panko breadcrumbs over the top of the fish fillets and sauce. Panko are the lighter, flakier breadcrumbs. They are sometimes found in the Asian foods section but my store has a nice selection of them right by the regular old Italian style breadcrumbs. 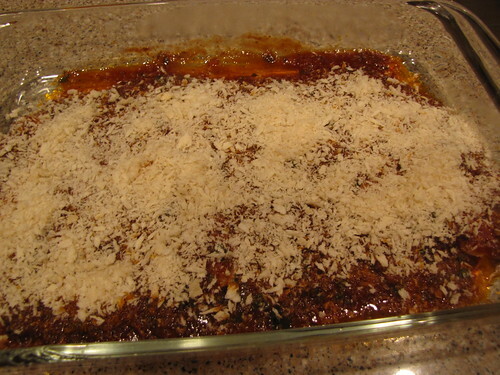 Drizzle the breadcrumbs with a little bit of olive oil and bake at 350 degrees for 20 minutes. 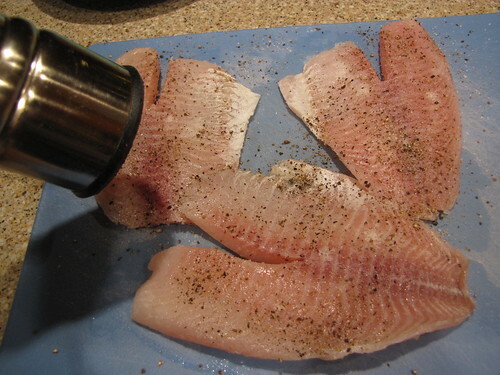 If you are using larger or thicker fish fillets, you might need to add a few more minutes of cooking time. 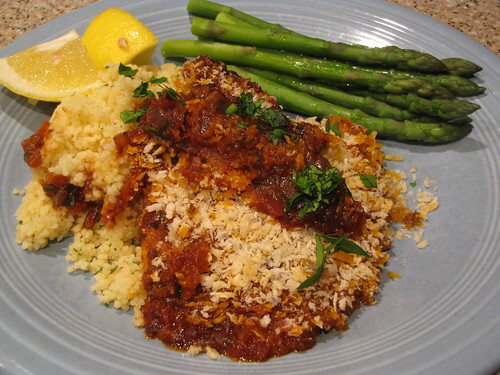 Tender flaky fish in a snappy red sauce. Try with a side of couscous or rice and your favorite green veg. Psari Plaki. Fun to say, delicious to eat! Holy Julia, that’s my cookbook! 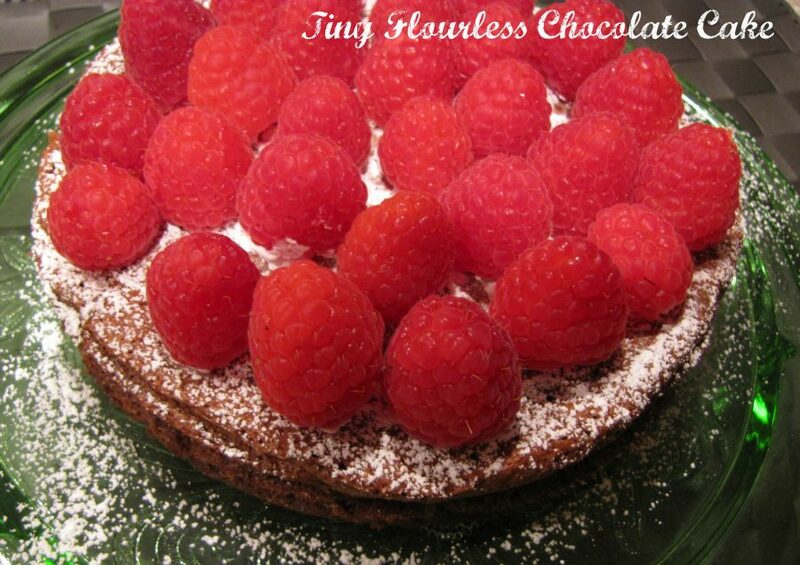 :o) Isn’t this a yummy recipe? The last time I made it was the first time I used the Panko breadcrumbs that I picked up from your earlier fish recipe. The breadcrumbs make it totally awesome! 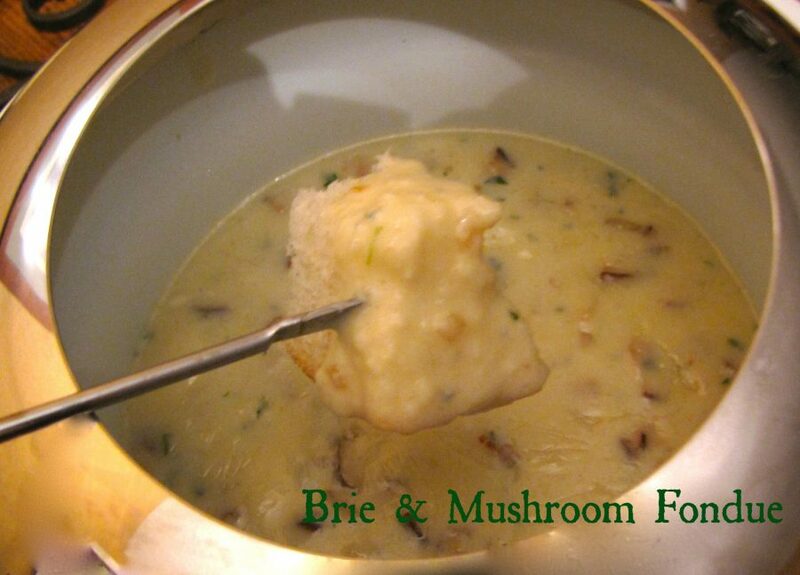 Made this tonight (ok my hub made it) to rave reviews. He also threw it under the broiler at the end for some extra crishpynessh! Mmmm…. delish!!! If I have to look at one more plate of rice, couscous, quinoa, oats or any other grain, I’ll get sick! Give me some good ole potatoes, even if they are just boiled in salt water. LOL……………..